For over thirty years, Glock’s polymer framed pistols have dominated the handgun market and have helped play a part in completely redefining what reliability in a firearm is supposed to mean for law enforcement, concealed carry permit holders, shooting enthusiasts and for home defenders alike. After four extremely successful and reliable generations of the model 19 and model 17, Glock has recently released their model 19X; their first “crossover” pistol which features the compact G19 slide and full-size G17 frame. Originally intended to replace the U.S. Army’s Beretta M9, Glock submitted the 19X to the U.S. Army’s handgun trial, but ultimately lost to the Sig Sauer P320, mainly due to its price. Despite their failure to convince the U.S. Army to adopt the model 19X, Glock wasted no time making sure the 19x reached the civilian market, which has certainly appealed to shooters of all types. Although the overall design of the Glock 19X has not been drastically changed from the design of original Glock’s (for several good reasons), there are certainly a number of smaller changes that were made to this new crossover model of the Glock 19 which is certain to change shooting experience for the better. Any seasoned shooter familiar with the current handgun market will be able to tell that the Glock 19X feels like just another Glock. However, what they may not know just by simply holding this firearm is that this particular Glock shoots significantly better than all other previous Glock generations. The elimination of the finger grooves on the front strap makes for a much more solid grip (especially for those of us with thicker hands whose fingers don’t quite fit into the cut-out finger grooves of previous generation Glock pistols). The full grip of a standard Glock 17 accompanied with the compact Glock 19 slide makes for an extremely balanced and easily controlled shooting experience. According to Glock, their new marksman barrel along with their changes noticeable on the exterior frame of the pistol is said to improve accuracy, durability, performance, control and flexibility, which was definitely noticeable when it came time to send rounds downrange. Managing recoil was no issue whatsoever. While the Glock 19X is a great full-size handgun, it would certainly be considerably difficult for some concealed carry permit holders to fully conceal. Its full-size grip, thick slide and thick frame make for a more difficult carrying experience. Regardless of concealability, the Glock 19X is a game-changing firearm with many different applications that are suitable for all levels of shooters and shooting purposes. In accompaniment to Carolina Sporting Arms detailed explanation of the new Glock 19X, there are several highly credible Glock 19X review pieces from notable firearms experts on YouTube and other media outlets that provide a visual representation on how this new Glock model operates and how it differs from previous generations of Glock pistols. If you are unfamiliar with the Glock 19X but would like to learn more than what we have included in your Glock 19x review, we highly encourage you to come out to our state of the art shooting range at Carolina Sporting Arms. For the entire month of June, there will be no rental fee for the 19X at our range. 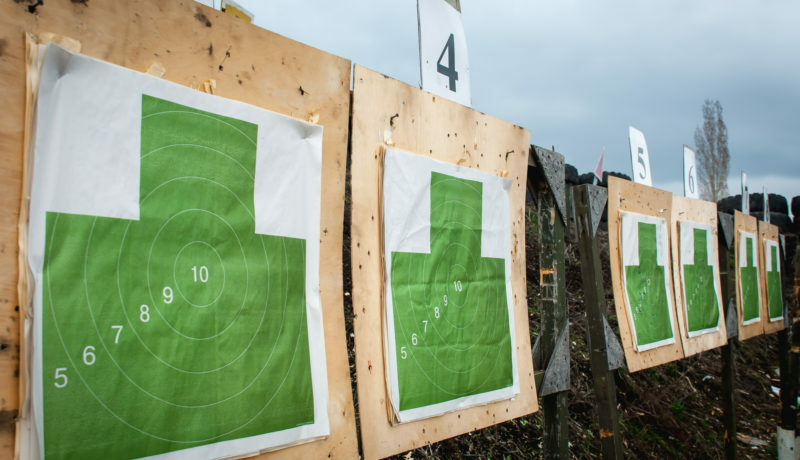 If you are relatively new to shooting and would like some additional instruction in regard to safe handling and shooting a handgun, we would also like to encourage you to sign up for one of our several beginners level shooting courses taught by highly trained instructors. 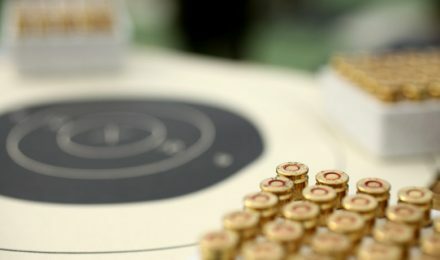 Under their supervision, you are certain to become more comfortable and confident with firearm safety, proper firearm handling and shooting sports in general! By the end of June, one lucky contestant will be awarded a free Glock 19X! To enter to win, all you have to do is text GLOCK to 704-550-4178.